People for a Safer Society is a gun violence prevention organization that was founded in early 2013, shortly after the Sandy Hook Elementary School tragedy. The organization aims to educate people and raise awareness on gun violence. The organization facilitates advocacy that can make a difference on local, state, and federal levels. 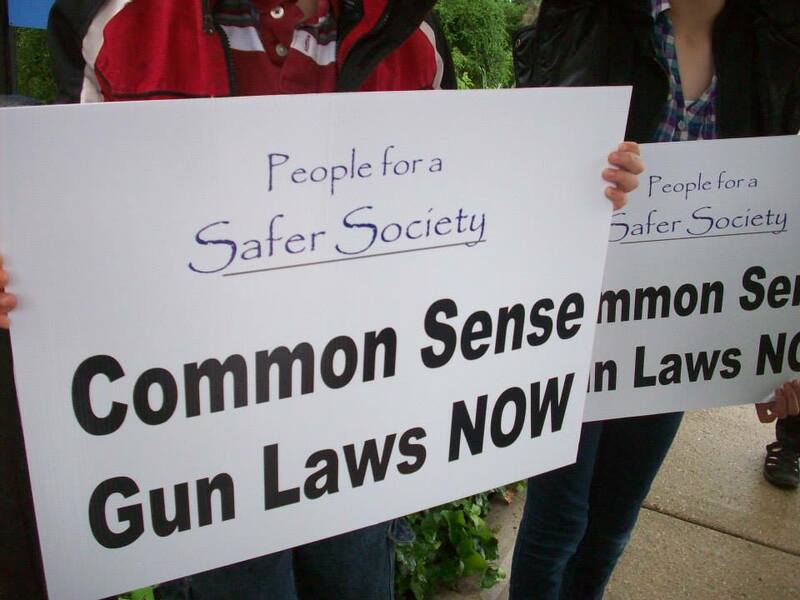 In addition to pushing for common sense gun laws, People for a Safer Society informs communities about non-legislative solutions, such as divestment from gun manufacturers. People for a Safer Society is based in Skokie, Illinois, and has engaged communities throughout the Chicagoland area. GREAT NEWS! The Combating Illegal Gun Trafficking Act is law in Illinois! This bill will help stem the flow of illegal guns to Chicago. ​Senate Bill 337 passed out of the Illinois legislature on May 30, 2018 and was signed into law by Governor J.B. Pritzker on January 17, 2019! Thanks to everyone who made phone calls, signed petitions, and filed witness slips! Your action was effective!